Being hurt on the job can have a significant effect on your ability to move on with your life. If your job has made it impossible for you to go back to work for a certain period of time, you need to investigate your options for filing a workers’ compensation claim. Filing a workers’ compensation claim does not have to be difficult, but many people who have had to go through this process in California recognize that they do not know everything about this process and can do several things to protect themselves prior to and during the process. Workers’ compensation refers to a form of insurance that is designed to help workers recover from any injuries that are sustained in the workplace. Every state has their unique laws about the workers’ compensation and it’s a good idea to educate yourself about California’s before you begin to apply. No one expects to be injured on the job, especially if your employer has invested a significant amount of time in safety training and safety equipment. Falling to a lower level. Overexerting the body when someone pulls, lifts, pushes or throws something. Slips and trips and falls. A highway or a road related incident. Being struck against an object. Understanding your rights when initiating a legal claim for workers’ compensation is crucial for protecting yourself now and well into the future. 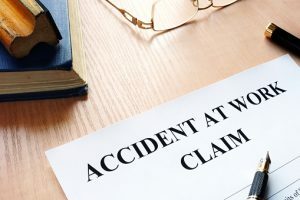 You might not realize that you have a limited period of time in which to notify your employer about your injury and to initiate a workers’ compensation claim. Don’t wait too long to get help from an experienced attorney who understands the claims process as this is may be the only way for you to protect yourself and your future. You deserve to have an attorney who is highly knowledgeable about managing these kinds of concerns and one who knows the common pitfalls that people experience in the process of lodging a workers’ compensation claim.